The other day, whilst rummaging through an old box of books from my childhood, I found the book that sparked my love of reading. I remember it being one of the first books I ever read, and me being an animal crazy child, of course it was based on the story of a dog named Holly. Picking up the book, I slowly scanned through the worn pages and it brought back so many great memories. I must have read that book a hundred and one times, never getting tired of the story. 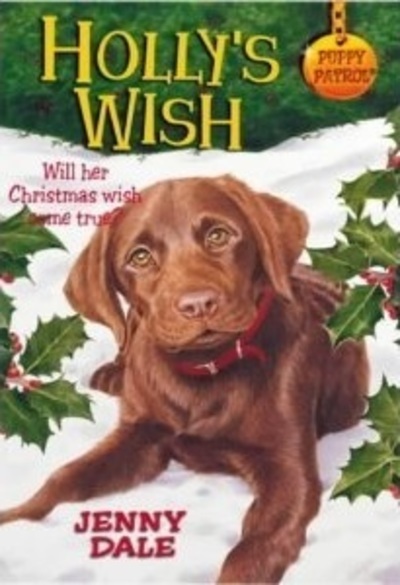 The book is called Holly's Wish and it was written by a lady named Jenny Dale who has written a very popular childrens book collection called Puppy Patrol. The story is about Holly, a chocolate brown labrador, who is found in the snow by children playing. Holly has one wish, and that is to find a home before Christmas. It is a beautiful story centred around Christmas, and it really brings out the hope and magical feeling for children that miracles really can come true. I would recommend this book for children eight years and older. It's a wonderful story and a real treat for kids.